If you had System Center Virtual Machine Manager, we could convert this file with that. But what if you don’t have that? 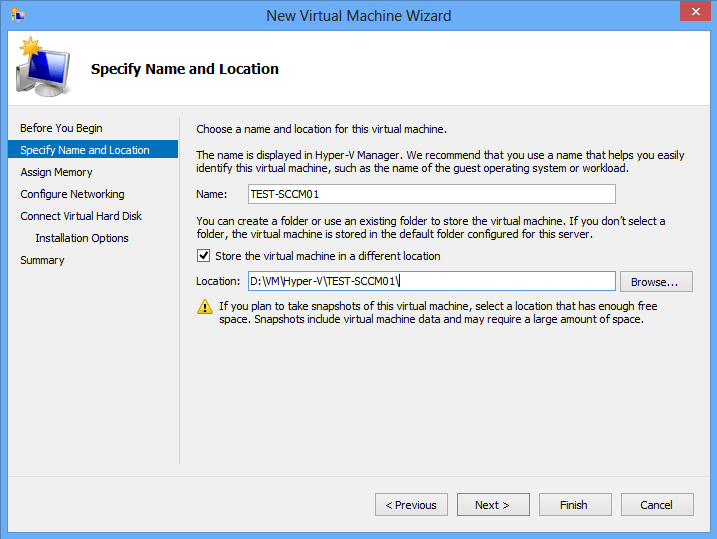 What if you have a bunch of VMware VMs you want to convert to Hyper-V that you have customized and don’t want to rebuild from scratch? Don’t worry, we can get your VMware VMs into Hyper-V.
*Very Important – This process will not work on compressed files. Make sure that the VMDK you are working with is NOT compressed. Right click on the VMDK file > Properties, then click the Advanced button. Make sure that “Compress contents to save disk space” is NOT checked. If it is, uncheck this and wait for this to finish before proceeding. Further, it is important to remind everyone that you should always backup any data to another source before modifying or making these types of changes as a safeguard. 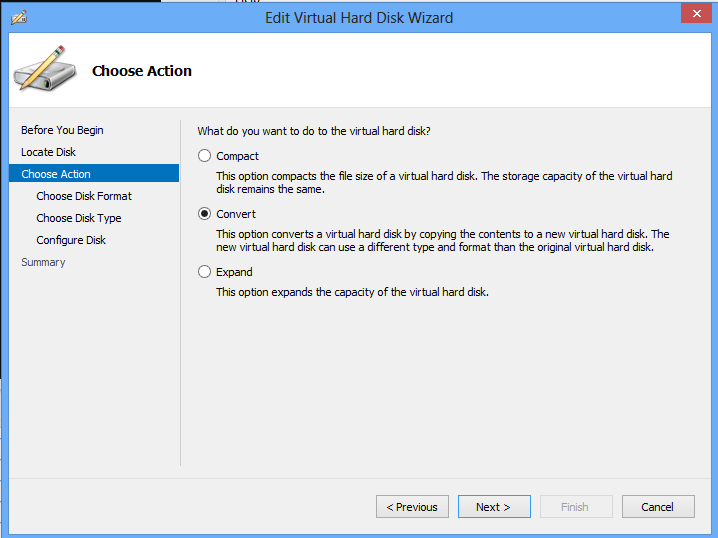 – Then convert the VHD file to VHDX. 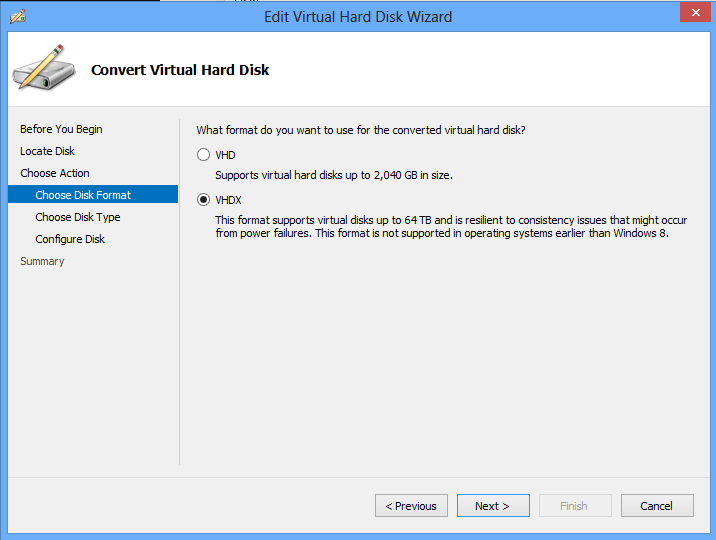 In order to proceed with converting your VMDK to VHD format, we need to have your VMDK as one single file. 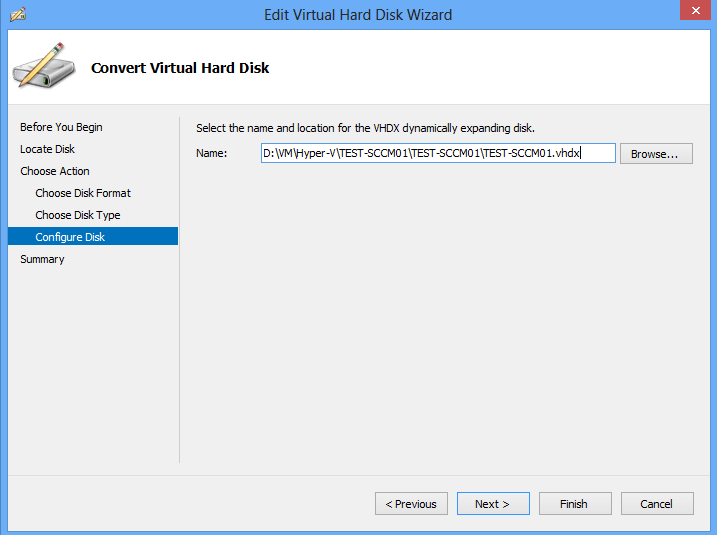 If it is already in a single file, head on down to Convert VMDK to VHD further below. If your VMDK is in multiple files we will need to convert it to one single file first. Head over to VMware’s site and download the VMware vSphere 5.0 Virtual Disk Development Kit. We need the vmware-vdiskmanager. Launch a command prompt as an Administrator. Navigate to the directory where where vmware-vdiskmanager executable is, then we’ll begin the conversion process to a single VMDK. The conversion process should begin immediately. Once finished, we’ll convert your VMDK in a single file now, to a VHD. 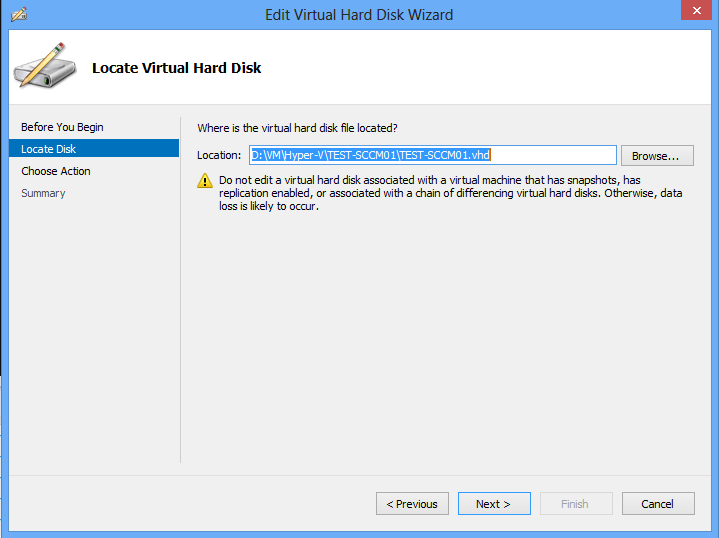 *Note – I have used Vmdk2Vhd in the past; however, I have ran into errors with the application saying the VMDK is invalid. The utility below, has worked on every try thus far for me. Once that is done you should have the VHD file that you need now. Let’s get this working in Hyper-V. 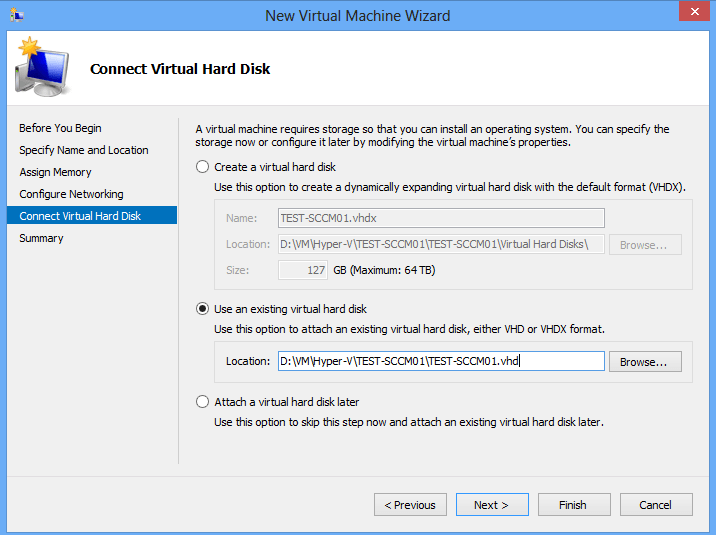 Launch the Hyper-V console, instead of importing a virtual machine, we are going to create a new virtual machine and use an existing disk. 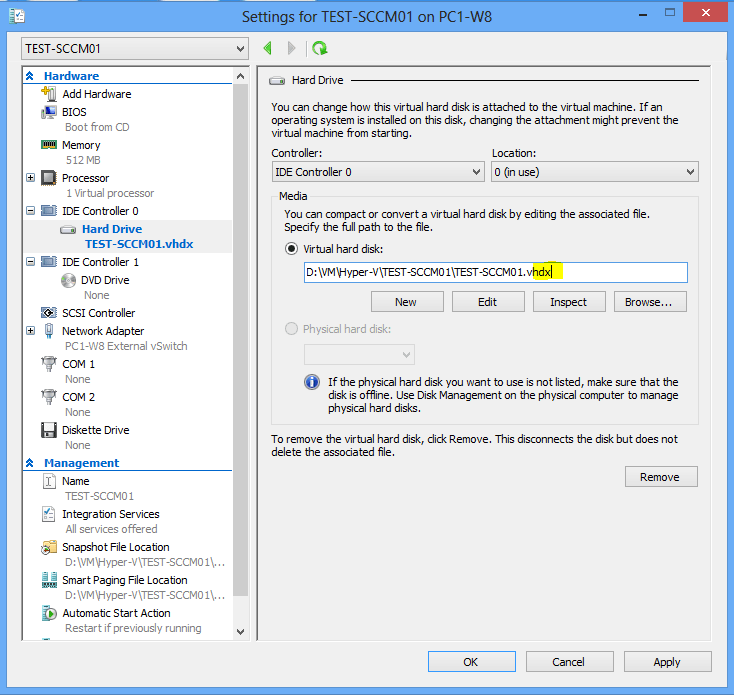 Import function only works for Hyper-V VM configuration files. Select New > Virtual Machine. 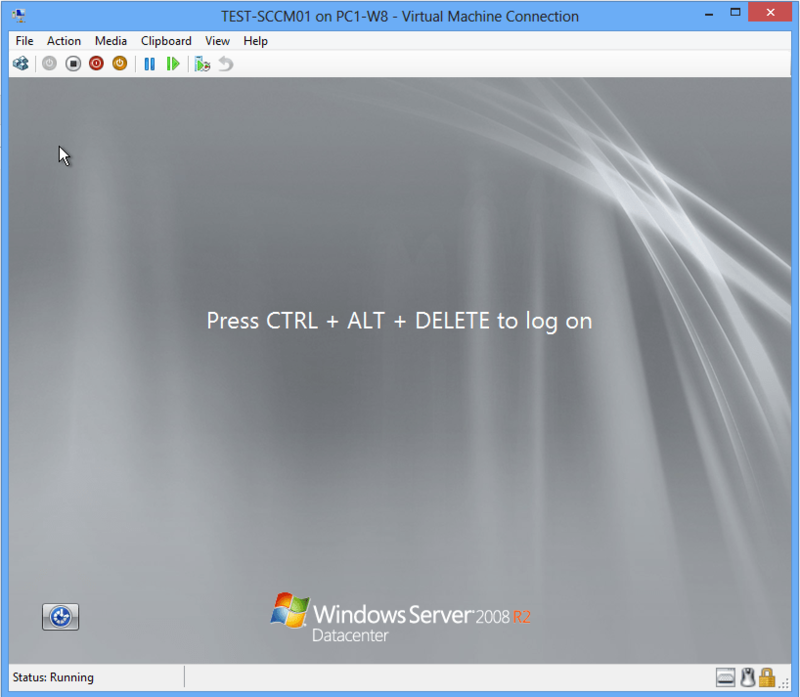 Enter the name of the VM and place the virtual machine in the same directory as your VHD (you don’t HAVE to do that, but it is my recommendation to keep things clean). 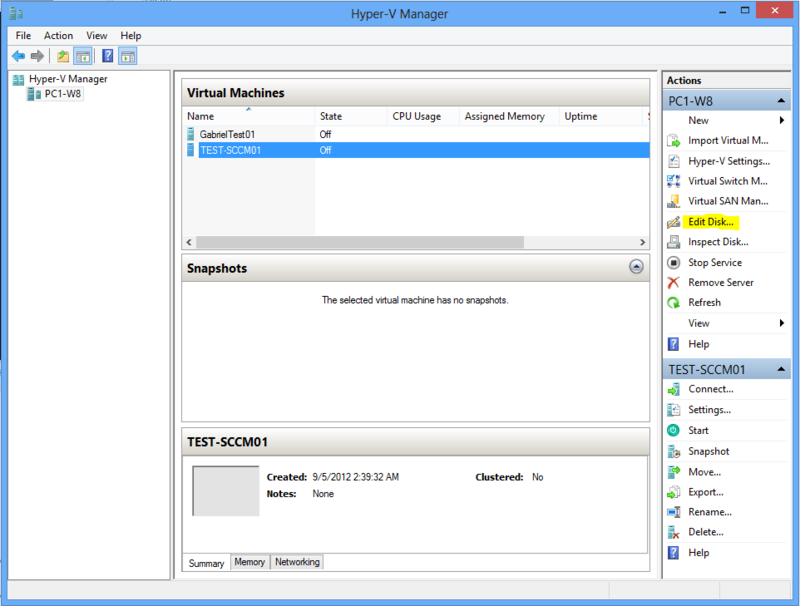 Finish out the wizard, then you will see your VM in the list of Hyper-V machines. Connect to the console of your server and power it on. We want to make sure it boots correctly, before upgrading it to a VHDX file. Then I recommend using Dynamically Expanding, then set the destination of the VHDX, and Finish the wizard. This conversion will take some time to complete, depending on the size of your VHD file. This progress bar will close when completed and will not tell you its done. However, you can confirm by checking the directory you set in the conversion process, and you’ll see it worked. Now edit your VM and change the VHD path by simply adding an “x” to the end of the Virtual hard disk path, click Apply and OK. Then Power On your VM. Now all that remains is to install Hyper-V Guest Additions and uninstall VMware tools. I’m guessing if you’ve been following this blog to this point, this is probably something you can handle from here You can also delete the old VHD file and VMDK files once you are certain this process is complete and there are no outstanding issues.